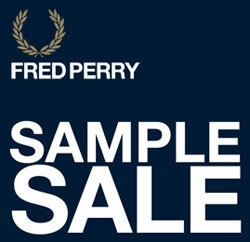 Good news if you’re after a Fred Perry bargain – the Fred Perry Sample Sale is taking place in London this week. You need to head for the Covent Garden Film Studios, 10 Mercer Street, WC2H 9QE this Thursday, 31st May and Friday 1st June. It runs from 8am until 6pm over both days. It’s hard to say what is there, we’ve just been told menswear, womenswear, youths, accessories and footwear – so we’ll presume it’s a bit of everything. And let us know if you pick up a bargain.